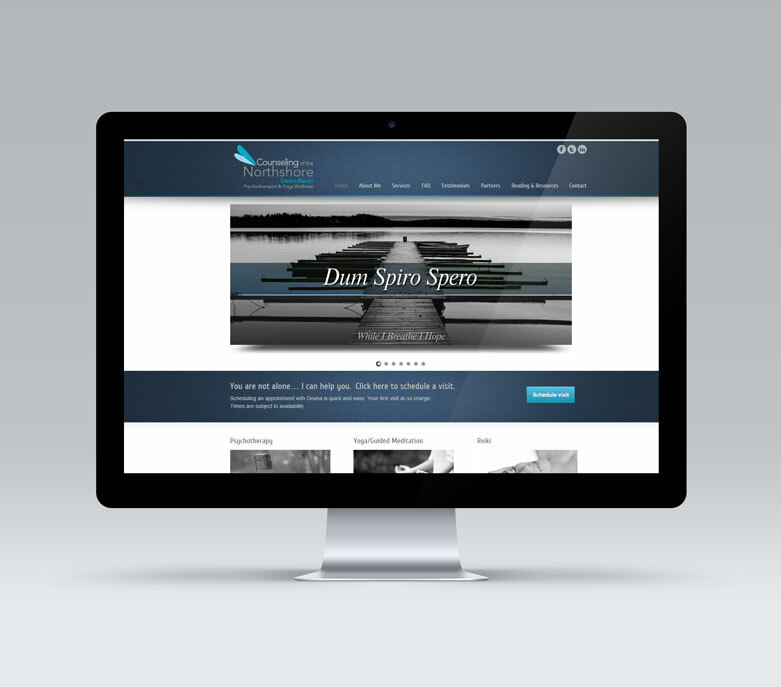 Deana’s new website for her practice has helped attract new patients in need of her services. Deana has access to the administration end of her WordPress CMS and can make changes to her website freely. The website’s design is clean, professional, visually attractive, and easy to use, all which contribute to the positive user experiences that have been reported by her patients. Deana Bacon needed to advertise her small business in local publications to spread the word about her unique services. ALX met with Deana to discuss her vision for her business and create a strong visual brand that would appeal to her target audience. The ad was delivered in color and b&w, as well as in both web and print resolutions, so the artwork could be easily delivered regardless of the advertiser’s preference. Deana’s psychiatric offers requires repeat visits to provide effective treatments to patients. 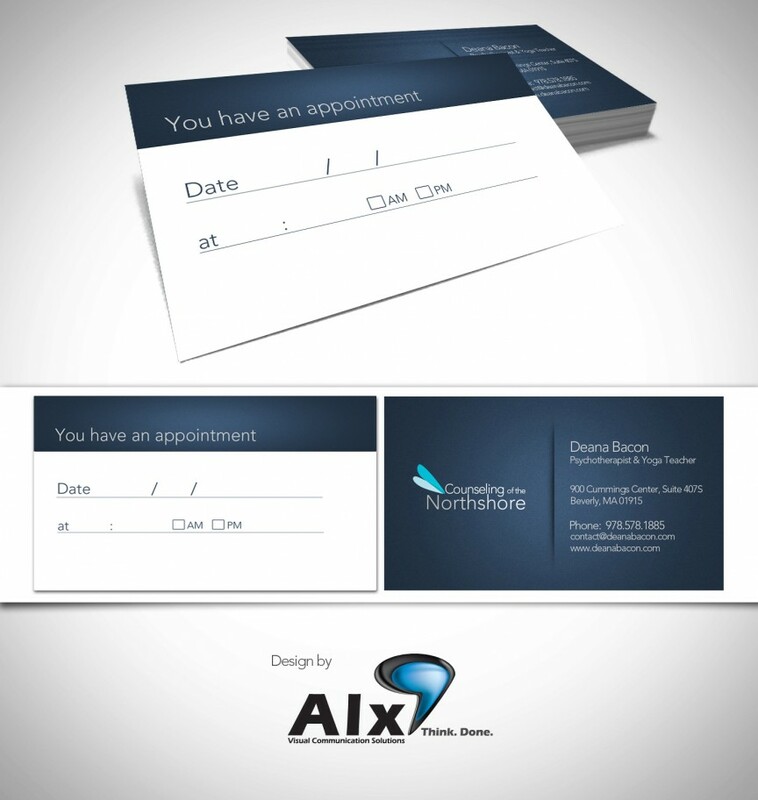 Deana’s custom appointment cards serve as helpful planning tools while adhering to her branding standards. 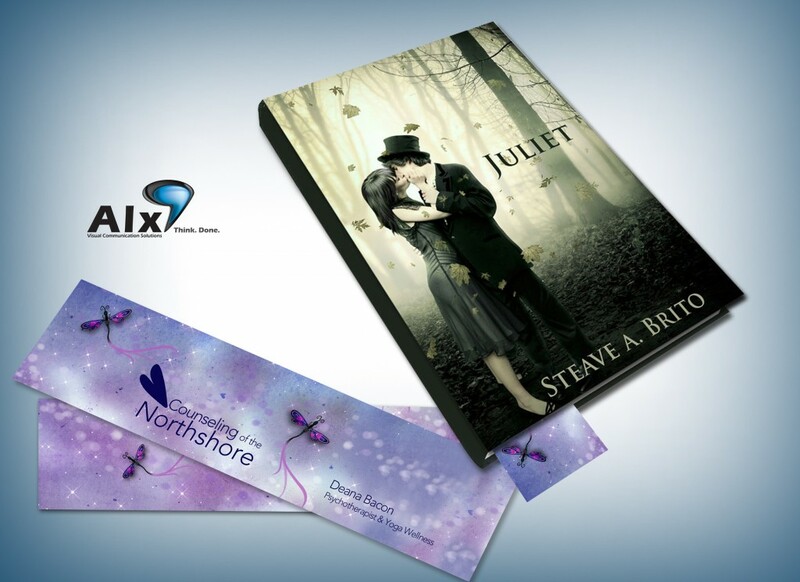 Deana wanted a promotional give-away item, and custom bookmarks were the answer. Practical, simple, inexpensive and encourages the positive-energy activity of reading. Beautifully printed on high-quality glossy heavy weight stock, and designed by ALX. Deana Bacon offers unique services that many clients didn’t even know they needed until they heard about her. Deana’s talents for psychotherapy, energy healing, and therapeutic yoga sound intriguing, but what kind of patient would benefit most from them? Patients seeking alternative therapy can learn about their different options for treatment with a clean, attractive informational brochure designed by ALX. Deana’s business card had to look attractive, professional, and medical without looking clinical. The card was printed on beautiful glossy heavy-weight stock and designed by ALX. 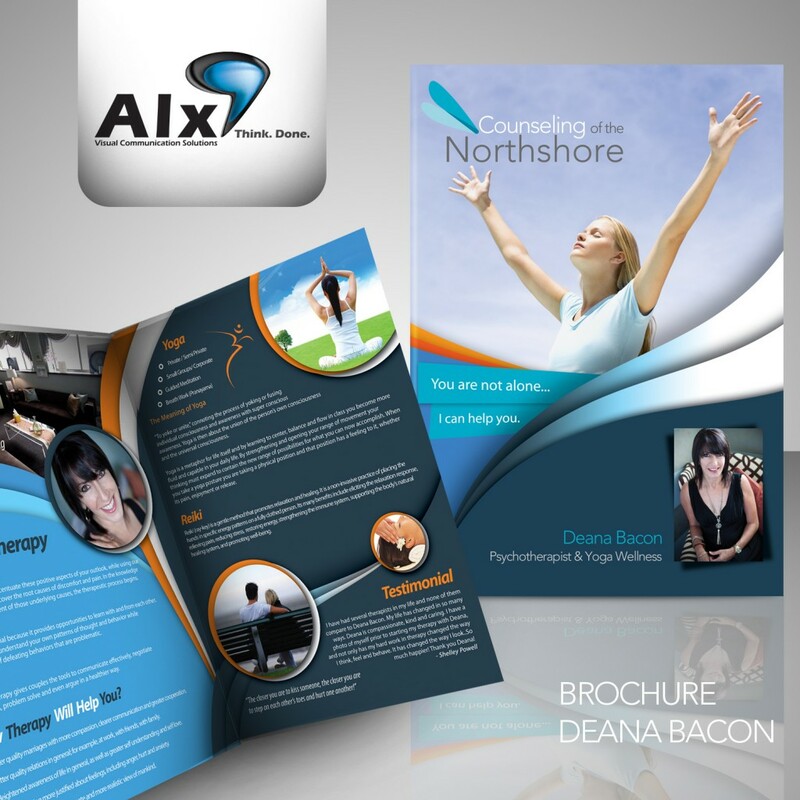 Professional letter heads, invoices, and envelopes were designed by ALX and printed in color on high-quality stock paper to re-enforce Deana’s brand and lend a professional level of detail across all the important aspects of her business. 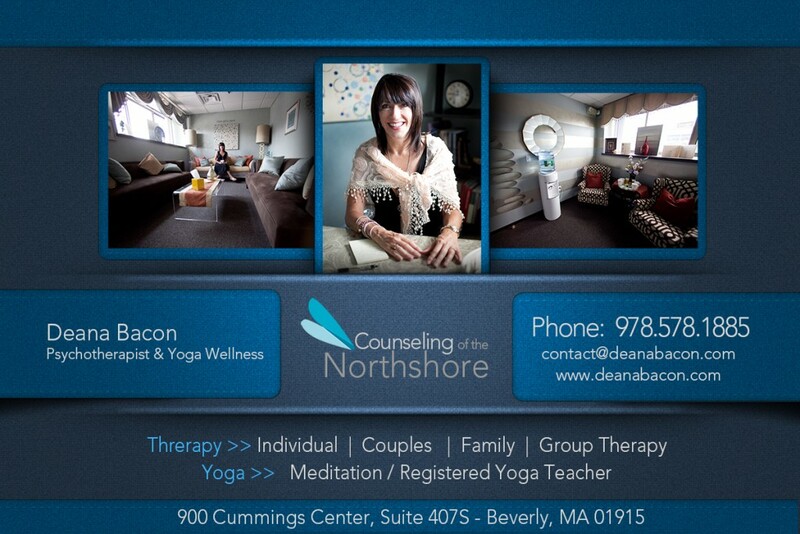 Deana’s brand had to look professional, medicinal, serious but with a positive, healing, serene energy. 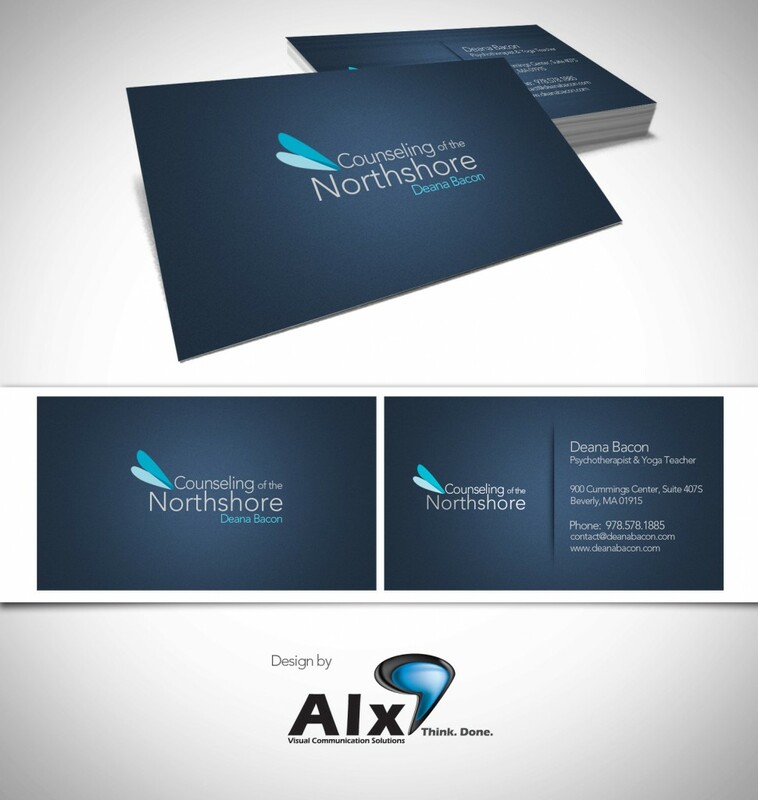 ALX’s job was to combine these sometimes conflicting characteristics into a harmonious and attractive brand identity. A custom graphic mug was a great way for Deana to thank her loyal customers, while simultaneously promoting and advertising her business. Deana keeps in touch with her past and present patients with a monthly newsletter, designed and developed by ALX in the WordPress CMS so Deana can edit the content and images as needed, on her own schedule. ALX helped Deana Bacon spread the word about her psychotherapy business with custom designed EDDM postcards. The postcards were targeted towards a specific demographic within a 20-mile radius of Deanna’s business. The postcards were professionally color printed on high quality glossy stock.